Making the most of the last days of summer, NBH travelled to races by land and sea – storming castles, roaming islands and racing round parks. 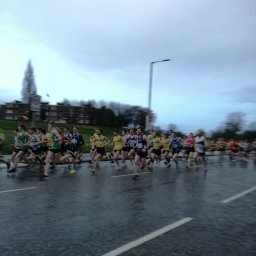 Eimear Nugent had a productive start to her weekend taking advantage of the Magheralin 5km race on Friday night to finish in 77th place (28:43). The race was won by James Monaghan of St. Peters AC (17:20) and Susan Smyth of Dromore AC (19:44). 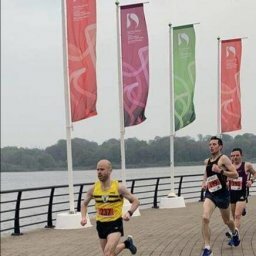 The Killyleagh half marathon took place on Saturday. The race was won by Aaron McGrady of East Down AC (1:17:50) and Amanda Perry of Ballydrain Harriers (1:30:43). Neil Carty took part in this race and ran a great time of 1:20:25 to secure his age category win and take 5th place overall. 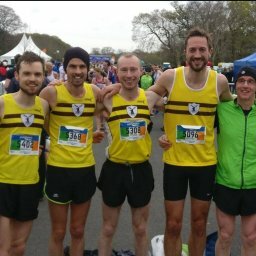 On Saturday the Frank Duffy 10 mile race was held in Phoenix Park, Dublin. It’s a popular build up race for the Dublin marathon and attracts large crowds and a competitive field. The race was won by two NI runners, Stephen Scullion took the win (50:37) and the ladies race was won by Laura Graham from Mourne Runners (58:50). Among the five and a half thousand competitors were four NBH runners who travelled to Dublin that morning. Andrew Annett took 6th position overall in a scintillating time of 53:44, with Lindsay Gordon not far behind in 7th position (53:53). Nat Glenn had a great race finishing strong to get under the hour mark in 37th position (59:57), while also taking second position in his age category, Nat crossed the line with a chip time of 59:34. Paul Curley was the fourth NBH across the line as he solidified his marathon preparation with a great run to take 481st position in a time of 1:12:00. 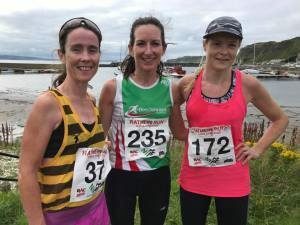 On Saturday morning a large number of runners headed for Ballycastle harbour to board a boat for a race on Rathlin Island. 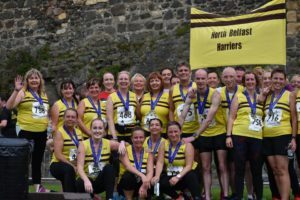 The supremely well organised event was hosted by NiRunning with the help of the Belfast Activity Centre and a large number of Rathlin locals. 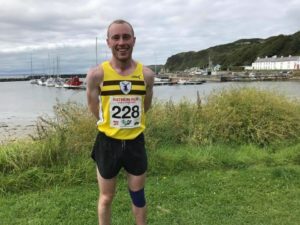 The 10 mile and 5km races attracted over two hundred and fifty competitors who were treated to good weather, a challenging course, fantastic hospitality and views of the NI coast line and farther afield the Scottish Kintyre Peninsula (I think…). Inspired by the local bearded mountain goats who stared bemused from the fields along the course, NBH own Philip Goss summited hill after hill along the out and back route, to clinch 1st position and a new course record in a time of 57:57. The first lady to cross the line was Gerrie Short from Beechmount Harriers in 1:12:16. NBH own Helen Weir was the second lady across the line and also won her age category. Robert and Geoff both took 2nd place in their age category’s as well. After the race a few were seen to cool themselves down with a dip in the water and a cold glass of something from the pub. Jog Belfast September programmes at Girls Model and Girdwood are filling up fast. Register at https://register.primoevents.com/ps/event/JogBelfastSeptember2017 – No better way to get active and fit among friends. As ever the NBH attended parkrun events in their droves. This Saturday saw 13 new PBs, well done all!